There’s no doubting the fact that innumerable questions pop up in our minds when we have plans to purchase a car. The basic one amongst these, is perhaps, whether we should opt for an all-new car or a pre-owned one. This dilemma often confuses car buyers, simply due to the reason that, while buying a new car has many advantages to it, settling for a used car also comes with its own sets of benefits and positive points. For those not in a mood to buy a car to avoid high depreciation, for utilitarian reasons, or simply because of budgetary limitations, second hand cars in delhi will suit all the needs perfectly. It may interest you to know that unlike the new car market, which has traversed some rough patches in recent times, India’s used car market has had a relatively stable growth. Budget: The most fundamental decision that you need to take is to ascertain the amount that you can spare for buying a car. Thus, it will be wise of you to only look into those cars which can fit into your budget. Type of car: Once the budget is fixed, assess your requirements and select a car that suits those. It is also very important to decide at this stage, whether you prefer a petrol car or a diesel one. Fuel economy: This is one of the most considered features offered by a car. With the rising fuel prices, Indians in general are very particular about the fuel efficiency of a particular car. Seller: It is advisable to buy the car from an authorized dealer, even if it is a second hand car. Almost all leading manufacturers of the country including Maruti Suzuki, Hyundai, and Toyota operate a separate wing for pre-owned cars in Delhi. Purchasing a second hand car from these manufacturers will ensure that after sales and services are provided. Physical Check: Once you have shortlisted a certain car, it is crucial to make a physical check of the vehicle. In the meantime, you should also check the history of the car – distance travelled, age of the car, ownership transfers, original papers and certificates- all of these things should be verified carefully. For buying used cars under 2 lakhs in Delhi, one should opt for cars which have zero turbo lag and can be excellent drives in city traffic conditions with the linear pickup. The cars that are most well-suited for city bumper to bumper traffic with unmatched low end engine response are many, and these include both diesel as well as petrol cars. 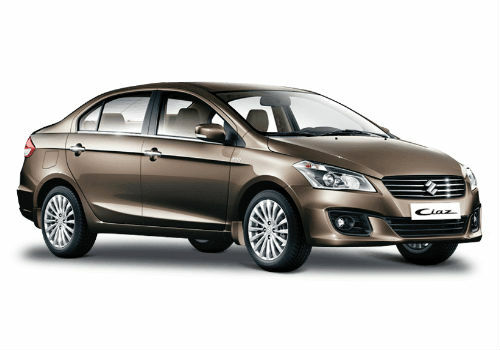 Underpinning Suzuki’s TECT concept, the Ciaz is the longest car in its league. The front fascia has a rectangular radiator grille with chrome accents, which is complemented by the dual projector headlamps. The company emblem lies at the centre. The body-coloured front bumper houses the twin fog lamps. Moving sideways, the strong shoulder line runs all along the length, lending dynamism and balance to the Ciaz. Additionally, there are chrome door handles and electrically adjustable outside rear view mirrors with turn indicators. The super-stylish 16 inch alloy wheels are only limited to the top-end trim, and the entry level variants come loaded with 15 inch steel wheels. 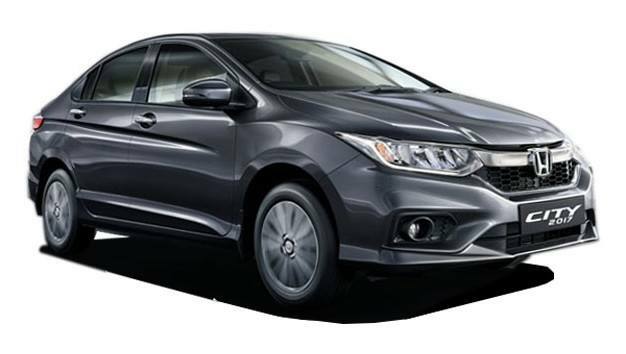 At the rear end, the premium rectangular tail lamp cluster is a reminder of the current generation Honda City. The body-coloured bumper sports dual black reflector console, while the tailgate boasts of a spoiler with a chrome badge. The best-in-class wheelbase of 2650mm has resulted in vast legroom, shoulder room, and head room for all the passengers, be it at the front or the rear. The interiors are done in a dual tone black and beige theme with wooden detailing. The dashboard design is reminiscent of other Maruti models including the Ertiga and the Swift Dzire. The car gets keyless entry and start, Aux-in, USB, Bluetooth streaming with telephony, automatic retract for the ORVMs, reversing camera and navigation system. An integrated audio system is a touch-screen unit- a segment first. it has 4+2 speakers, tweeters, and USB connectivity as standard. In terms of comfort and convenience features, the Ciaz has front centre armrest, rear centre armrest with cup holders, engine push start/stop system with intelligent key, audio controls mounted on the steering wheel, automatic climate control system with dust and pollen filter, rear AC vents, front and rear accessory sockets, height-adjustable driver seat, footwell lamps, besides others. Maruti has incorporated an efficient braking system in the sedan with front brakes being ventilated discs and the rear ones being drum brakes. The primary braking system is amply backed by the ABS (Anti-Lock Braking System) and EBD (Electronic Brake-Force Distribution). Other safety features include dual front airbags, seatbelts with pre-tensioners and force limiters, and reverse parking sensor and camera.The company’s Total Effective Control Technology (TECT) platform, which has high tensile steel deployed extensively across the body panels of the Ciaz, thus further making it stronger and stiffer. To add to the security, the company has introduced an engine immobilizer and anti-theft security system as standard features across the entire variant range. 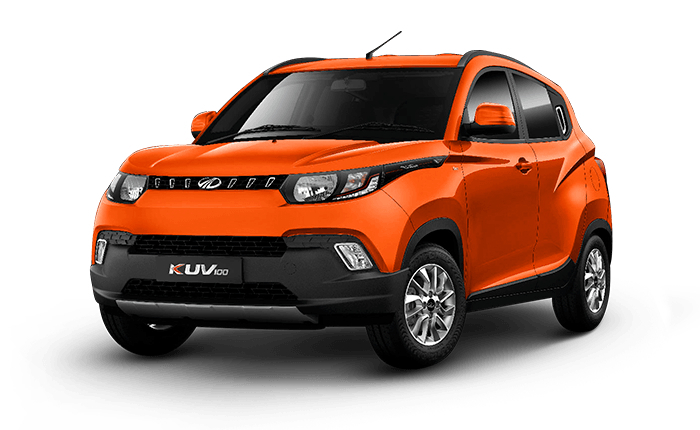 What sets Mahindra KUV100 apart is its unparalleled combination of aggressive styling, spacious interiors with flex 6 seater and 5 seater options, peppy performance, accessible technology, and excellent safety. This car offers both petrol and diesel versions, with the petrol engine being powered by the falcon G80 1.2litre 3-cylinder all-aluminium unit, which produces 83PS of power and a peak torque of 115Nm.The diesel variant, on the other hand, hosts mFalcon D75 1.2L CRDi unit, which churns out 78PS of power and maximum torque output of 190Nm. Both the engines are mated to a 5-speed manual transmission. The car promises decent ride and handling quality, thanks to the independent McPherson strut suspension with dual path mounts, coil springs and hydraulic gas charges shock absorber in the front and semi-independent twist beam suspension with coil spring and hydraulic gas charged shock absorber at the rear. Also, the KUV100 is equipped with front disc and rear drum brakes. The fuel mileage of petrol SUV is 18.15 kmpl while that of the diesel SUV is 23.32 kmpl. Its fuel tank capacity is 35 litres. The car sports stylish dual tone exterior, with the front fascia featuring a sleek front grille, a buffed-up bumper and large sweptback headlamps with LED. The side profile gets an aggressive appeal, owing to the shallow greenhouse area.The rear profile, however, is less aggressive and more modern and palatable. You can also expect a high ground clearance of 1700mm and runs on 185/65 R14 tubeless radial tyres. The interior features a flowing dash design layout which is simple yet unique in its class. Buyers will also be impressed by the easy-to-read instrument cluster with DIS and gearshift indicator.The subtly designed centre console is accompanied by vertically stacked AC vents/controls, a simple-looking integrated audio system and a gear shifter. Though the build quality is not that good, the fit and finish are quite decent. There are 2 seating options on offer- a 5 seater and a 6 seater. The front occupants can enjoy ample leg/head/shoulder room, but the rear passengers might experience some space crunch. The feature list in the cabin includes, keyless entry, in-dash music system with Bluetooth, USB and Aux-in connectivity, steering mounted controls, electrically foldable mirrors, LED DRLs, puddle lamps for all 4 doors, micro-hybrid technology, Power-eco mode, power outlet in the second row, ambient lighting, foldable rear seat, etc. Volkswagen made its foray into the sub-4 meter sedan category with Ameo compact sedan. It genuinely exhibits the characteristics strengths of Volkswagen including a sturdy build, uncluttered design, and timeless appeal. Under the hood, this car is powered by a 1.2litre petrol motor generating 75 PS at 110Nm and a 1.5litre TDI diesel motor which is capable of churning out 110PS at 250Nm. Both the motors channelize power to the front wheels via 5-speed manual transmission.Unlike its rivals, the Ameo offers the Automatic convenience on the Comfortline and Highline diesel variants. You can choose from either of the two engines- a 1198cc, 3-cylinder, petrol engine, and a 1498cc, 4-cylidner turbo diesel engine. 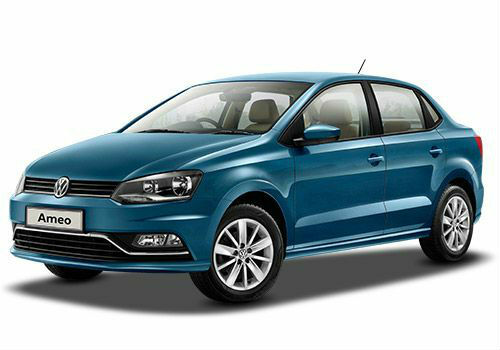 The Ameo is Volkswagen’s conceived and made-in-India compact sedan based on the Polo hatchback. It shares most of its design with the hatchback except its rear profile. The design overall is understated, with only the boot standing out.The most prominent characteristics of its exterior include, the dual-barrel headlamps, subtle chrome highlights all around, large multi-spoke wheels, stubby boot, etc. A 2+2 seater, the Ameo is a very compact car in terms of its cabin, besides a tough build quality, premium quality materials, and high-tech features. Highlights of the interior include the touch-screen infotainment system with reverse camera display, rain sensing wipers, cruise control, bezel-less IRVM, cooled glovebox, rear AC vents, hill-hold assist, traction control, etc. The claimed ARAI mileage for the petrol variant is 19.44kmpl, while that for the diesel variant is 21.66kmpl. Also, according to ARAI figures, the mileage returned by the Volkswagen Ameo diesel automatic variant is 22.0kmpl. In terms of safety features, the Ameo is equipped with dual front airbags and ABS as standard across all its variants. The front wheels come with disc brakes that lend extra power to the car, making the handling easy even in tough situations. the handling is further improved, thanks to power steering with tilt and telescopic features. Honda City, when it was first introduced in India, became an overnight sensation! The rate at which people booked this car, made it seem like finally, their dream car had arrived – the one they have been waiting for since ages. Sales were skyrocketing, and even after the facelift, it continued to enjoy an abundance of takers. Though it did have to overpower a drawback of sorts due to the lack of a diesel power train as an option, the makers took it seriously and the diesel engine was launched. The fundamental feature of Honda City that makes it one of the favourite cars is its drivability. With its light steering (and controls) and sleek gear-box, it is an easy drive. What’s more, it comes equipped with an option of automatic transmission, which is very useful for bumper to bumper city traffic. It guarantees easy manoeuvrability and effortless driving. When it comes to safety, you can ‘safely’ place your bets on Honda City. It boasts of features such as an anti-roll bar, air bags, and ABS (anti-lock braking system) that ensure uncompromised safety. The electronic brake force distribution system further makes it look like the car that the country was waiting for! The design is quite different even though this is not an entire generational change. The front fascia looks edgier and sleeker and the front grille is brand new with a slimmer chrome strip and the headlamp cluster also looks unique. The headlights are now placed closer to the grille and the front bumper is also new with new fog lamp housing. Honda has flooded the new City with LED lamps at the front, rear and also the fog lamps in tandem with daytime running lights. The car has new LED tail lamps and a new lip spoiler for the top end variant. There are new 16 inch diamond cut alloy wheels. The interiors are premium thanks to the leather upholstery and the 7 inch Digipad touch screen infotainment unit and audio visual navigation system which feels super premium. 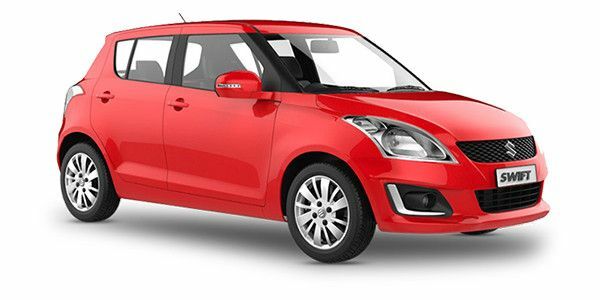 The Maruti Suzuki Swift has always been one of the highest selling cars in India majorly for its refreshed design, more interior space, new features, good fuel economy and the competitive price point. If you want a hatchback in this price range, the 2018 Swift is definitely one to look out for! Powered by the same 1.2 litre petrol and 1.3 litre diesel engines of the previous generation. The petrol motor churns out 83PS/113Nm while the diesel variant develops 75PS/190Nm. Unlike its predecessor, the new Swift is accompanied by a 5-speed AMT (automated manual transmission) with both the engines besides the 5-speed manual gearbox. It claims to offer a mileage of 22kmpl and 28.4kmpl from the petrol and diesel motors respectively. Dual front airbags, ABS with EBD and brake assist, front seat-belts with pre-tensioners and force limiter, Isofix with child seat anchorages, seatbelt reminder and engine immobilizer. 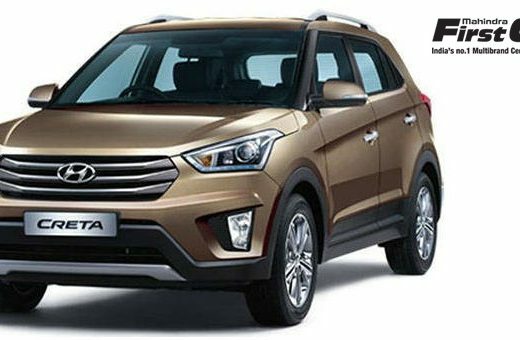 Besides the more ‘mature’ looking front fascia, it also flaunts a redesigned headlamp unit which sports projector headlamps and LED daytime running lamps as opposed to the multi-reflector units in the previous version. Additionally, the chrome garnishing has been given a miss, though the circular fog lamp housing has been retained. Also, it comes with a large hexagonal grille with vertical slats in place of the honeycomb mesh seen in its predecessor. What’s more, the rear profile also flaunts a completely overhauled look, with LEDs in a redesigned tail lamp unit, wider boot lid and a new bumper. There are 15 inches two tone alloy wheels for the ZXi+ or ZDi+ variants along with 58 litres of extra boot space. The cabin gets a more premium feel, thanks to the new dual-tone dashboard layout. Aircon vents in the centre are now round in shape and the AC controls too get new rotary dials. The no-nonsense instrument cluster has been replaced by racing-car inspired dials. There are Android Auto and Apple CarPlay for this unit which is only available for the top-end ZDi+ and ZXi+ trims. There are a neat climate control system and a three-dial design with the central screen showing the temperature. The flat bottomed steering wheel feels nice to hold and the plastic quality is much improved. There is good knee room and headroom along with decent legroom. There is a reddish-orange hue for the dials which is very sporty. There is good knee room and headroom along with decent legroom. However, there is no rear AC vent and under thigh support could have been better.